Well, it looks like Razer has finally departed from the “mostly black” style with their latest. The Razer Orca is, as you can see, as green as a radioactive Granny Smith apple. I suppose it’s to set it off from the rest of the lineup; unlike almost everything else Razer makes, this headset isn’t made for gaming at all. They share much of their design with the Razer Carcharias, little brother to the Megalodon, but there are a few differences. Most prominently, there is no microphone and no in-cable volume puck. Makes sense if these are to be used primarily for music. There are audio-related changes as well: the new headset has a wider frequency range than the Carcharias: 15-21,000Hz vs 20-20,000Hz. Now, those added frequency ranges are more or less at the very edges of human hearing, but they do indicate higher quality drivers and it’s less likely that a botched equalizer setting will make them clip. They’re also $20 less at $59.99. 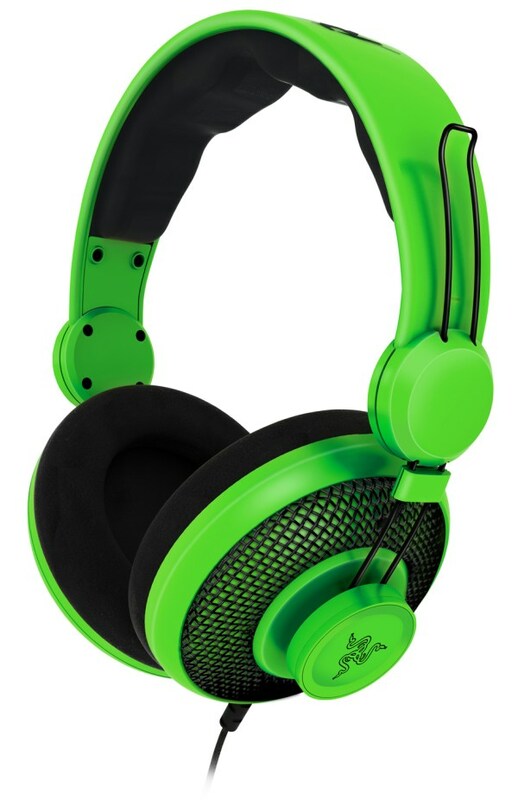 I’m not sure if I dig the toxic green color, but I know this model of headphones is a pleasure to wear, so if you want to look like a mutant, you can do so in comfort.